What is LinkedIn to you? Chances are it’s a place where you keep your resume updated in case anyone in your network has any job openings for you. It’s a place where you post news about your industry so you can show that you care about your job. But do you ever post anything personal there? Things that are relevant to your personal interests? You should. Here’s why. LinkedIn is more of a place to build your personal brand. If you are doing more than logging on twice a year to update your resume, that’s great. But you will have to do even more than that. If you are posting news about your industry to show that you care about what’s happening in your sector, that is great but you’re going to have to do better than that. You need to be posting every day about your wins and about your losses. You need to post about your personal interests and build your online community. After all, more and more hiring is being done inside of LinkedIn, and if you aren’t there when your network is looking for you, you will miss out. LinkedIn is growing much faster than you think. Between 2011 and 2017 LinkedIn users grew from 140 million to 500 million. There are more features now than ever before, and if you aren’t leveraging them to showcase your talents you are missing out on potential career advancement. 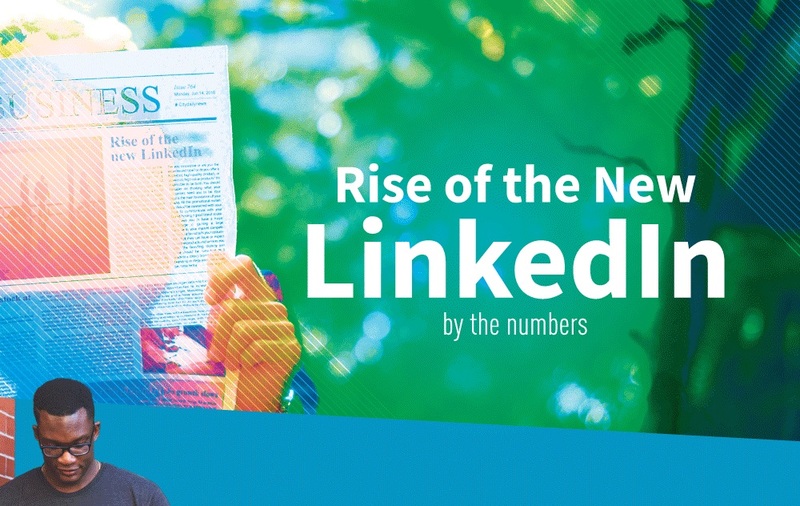 Learn more about the new LinkedIn by the numbers from this infographic!